Dooley’s hotel has a long tradition of good food and provides a range of dining options from early morning to late evening. Our menus are a mixture of local and International influences including local Irish succulent steaks and fresh seafood from the trawlers of Dunmore East. We have ensured a strong emphasis on locally sourced produce. Dooley’s Hotel is a very popular choice for dining in Waterford with visitors and locals alike. Family Occasions are very important to the hotel been a third generation family owned and managed hotel. 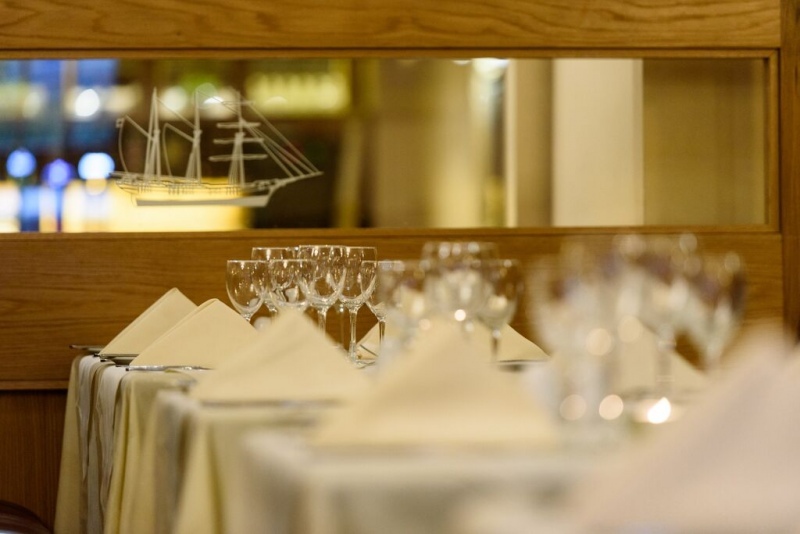 Our various dining options can be enjoyed in the surroundings of our elegant New Ship Restaurant or Traditional Dry Dock Bar. After an enjoyable day why not relax with a night cap in the Paddy Kirwan room located off the Dry Dock Bar. Children are an integral part of our family run hotel and after a day of exploring the City and our local beaches why not sample our extensive children’s menu. Enjoy live music in our Dry Dock Bar every weekend. Traditional Irish music every Wednesday in season, this is a must for your diary during your stay in Waterford. Let us and our team look after you. Dooley’s Hotel Waterford, family owned and managed for 3 generations.